While FIFA 16 does not offer the Career Mode overhaul that many crave, it still presents players with an offline experience full of fun and gratification. As with any mode, there are items that could be added or tweaked to provide a more realistic and enjoyable experience. In this piece, I will throw out five suggestions that could make Career Mode even better. Despite a plethora of news stories, emails and notifications, FIFA 16′s Career Mode could use some work when it comes to the overall immersion. Features such as a transfer log, player stats (advanced & historical) and opposition scouting are all missing. While the Global Transfer Network works as intended in terms of finding you targets from around the globe, there’s no way to know what kind of season they’re having since stats are missing if the player is in another league. Pre-match scouting is also virtually absent as you can really only see the opposition’s last three matches. Where is the preferred lineup or lineup used in the last match? If you have played FIFA’s Career Mode for some time, you will know that transfers made between CPU clubs are often illogical. Despite being called the “silly season,” transfers in FIFA 16 still suffer from a lack of quantity (not enough minor transfers) and quality (CPU stockpiling certain positions while ignoring others). It’s disheartening that in in Year 4 of your Career Mode you can face an Arsenal side that still has nine or 10 players from the same starting XI as in Year 1. Additionally, there seems to be some odd cases where CPU clubs have bigger budgets than they should. In Year 1, I have noticed clubs like Valencia and Sevilla come in for $40 million pound bids for Chelsea’s Cesc Fabregas despite having a starting budget of significantly less. Perhaps they sold off a few players to raise the cash? One will never know because of the aforementioned lack of a transfer log. Piggybacking off the previous two topics, a Managerial Carousel similar to NCAA Football’s “Coaching Carousel” is sorely needed to breathe some life into the virtual footy world. Managerial turnover at the highest levels of soccer is frequent. Arsene Wenger aside, top sides change managers like normal people change socks. Crystal Palace has had 19 managers in the last 21 years! A feature like this would see managerial philosophies (formations, transfer policy, etc…) change from time to time. In the previous example, that Arsenal side from Year 4 that has nine or 10 of the original starting XI would also still be trotting out in the same formation. Despite FIFA 16′s introduction of a more robust Training Mode and refined Youth Team, there still could be more done to enhance Career Mode in this area. Unless you give a depth-chart buried youngster the odd run out, there’s no way to get a real feel for those squad rotation players. Why not introduce youth or reserve sides to give virtual managers an opportunity to see what they have in that recently promoted academy kid. If that’s not possible, a simple practice mode would suffice and could be used in conjunction with scouting as you prepare for an upcoming opponent. Getting ready for a tightly contested European Cup match against Italian opposition? Why not hit the practice pitch and set the reserve side up to mimic the opposition’s preferred formation. If there is one feature/game mode that I will faithfully devote words to it is this. 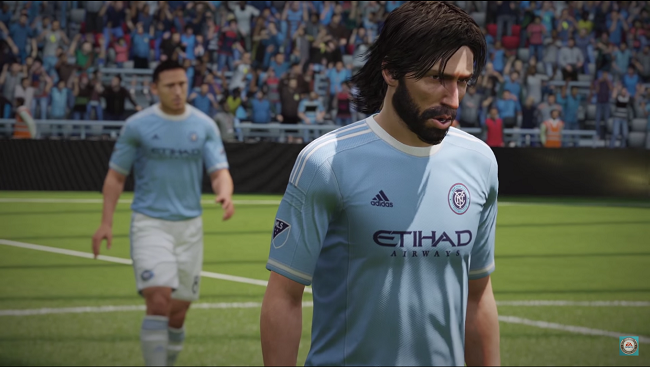 Sports genre benchmarks like MLB The Show, NBA 2K, and Madden have it, why doesn’t FIFA? The implementation would be difficult but not impossible. Blending the offline crowd with the online crowd would create a much needed addition to FIFA. Imagine the battles an Arsenal/Spurs or Barcelona/Real Madrid co-op Online Career Mode would have. Competing against another person for cups, prized transfers and trophies would be amazing. Despite these shortcomings, FIFA 16 still offers a fun experience capable of keeping you up to the wee hours of the night as you scout the next Ronaldo. With that being said, tell us what improvements you’d like to see added to FIFA’s Career Mode.